'Tis the season for the annual March Madness college basketball marathon, and your trusted smartphone can help you with the brackets as well, like with most other things that don't require you to actually go out and do some physical activity. The NCAA team bash starts tomorrow, March 13, and if you haven't taken your bracket gambling fix yet, check out a few apps for your Android, iOS or Windows Phone device that can help you quickly fill that void in your existence. From streaming all 67 games live for the first time from the comfort of your Android or iOS mobile device with the official March Madness Live NCAA app, to simply following your brackets with the cross-platform Mobile Madness, gone are the paper chart days, and trees around the world are ruffling their leaves in delight. The official NCAA app has a version for the iPhone too, and allows for the full March Madness experience, from creating and following on your brackets to checking scores and receiving game alerts. Not only that, but it also includes for the first time the ability to watch all 67 games streamed to your mobile device live for just $3.99 - you just have to login with your March Madness Live account and pay the piper. A bracket tracker for the March Madness tournament, this simple Android app includes easy editing and score tracking, as well as live updates for the positions. You can reshuffle brackets with a slide of your finger, and the final four always stays front and center. The Windows Phone tracker for NCAA brackets updates them after the games, links you to scores, and can even pin a Live Tile with your results so far on the homescreen, not to mention the Amazon gift card raffle that entices you to give the 2012 brackets your best. Mobile Madness for iOS recently got a Windows Phone release as well. It tracks the tournament, providing live scores as well as final scores. 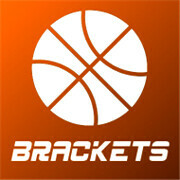 The brackets load a bit slow, despite that there is not much in terms of eye candy like team logos, for example, but Mobile Madness is nonetheless a very streamlined and simple way to follow your brackets wherever March Madness may take them. yahoo tourney pick 'em is also good.